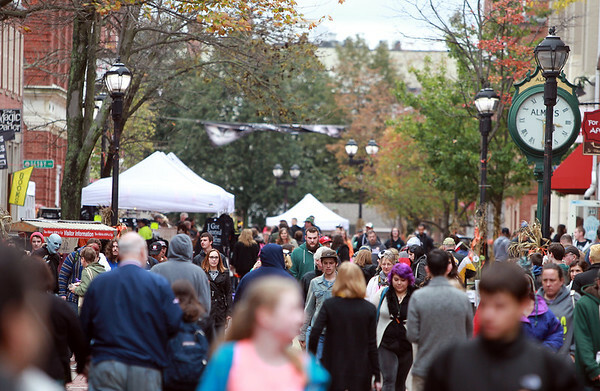 The Essex Street pedestrian mall was extremely busy on Friday afternoon after the rains and wind from Wednesday and Thursday's Nor-easter cleared out and as Halloween approaches. DAVID LE/Staff photo. 10/24/14.